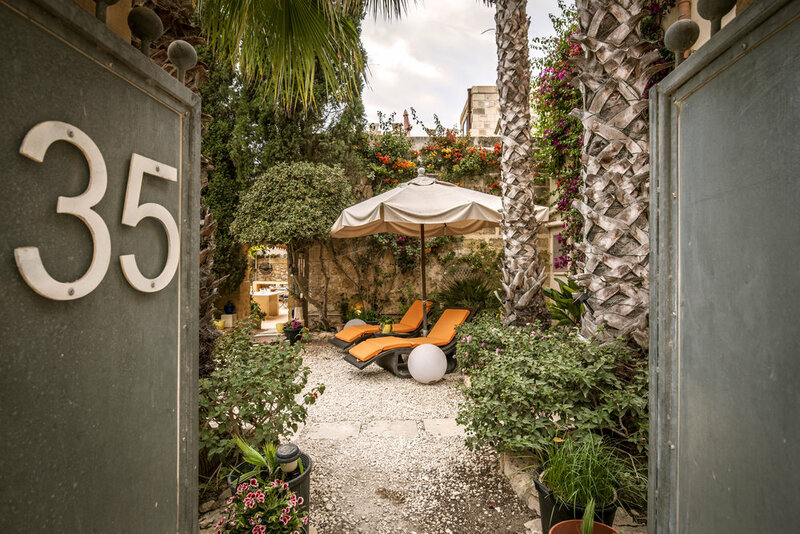 Thirty Seven Gozo is a converted 400 year-old farm house-turn-boutique hotel on a charming and sleepy island of Gozo, Malta. Enjoy 2 swimming pools, gardens of frangipanis and rose bushes, palm trees and cactus, and 2 very welcoming hosts. Stay in one of ten originally designed rooms and suites with views to the pool area, the valley, and the Mediterranean. Choose The Shanghai Junior Suite for ultimate privacy, with a separate poolside bungalow and a rooftop terrace or The Palm Room with a personal patio garden. Choose the Ghawdex Room for a cave-like romantic experience. Have a lazy day without leaving your day bed. Stargaze all night from your private terrace. Try painting or pottery. Write that novel you have been putting off. Eco Del Mare is a day/night club, restaurant and boutique hotel on a charming private bay in Poets' Gulf, Maramozza, Italy. The hidden retreat is 140 steps below street level, surrounded by nothing but picturesque cliffs and the sea. There are only six seafront rooms, each with a unique design and featuring one of a kind pieces by young Italian and international artists. Enjoy rustic luxury, being steps away from the beach, and an authentic Italian summer. Mediterraneo Kastelorizo is a boutique hotel steps away from the crystal clear waters of the Mediterranean Sea. The bedrooms are bright and charming, beautifully decorated by the French owner, Marie, who fell in love with the island and never left. Stretch out on the sunbathing terrace beneath your window and enjoy the slow afternoons. Choose the master suite on the ground floor for a private sun deck. Swim across the bay to the island’s bar for a drink. Can Xuxu, meaning ‘House of Darlings’ is a secret Ibiza paradise. The converted Colonial style Finca is hidden on a hillside in Cala Tarida. The owner, Alex, wanted to share his laid-back lifestyle with the world by making his villa accessible. Each of the 12 rooms is different and designed by Alex, who sources his materials from Asia. Japanese and Indonesian influence is evident in the unique decoration. Enjoy the swimming pool surrounded by tropical gardens. Visit the sunset terrace for a proper sundowner cocktail. Private, lush and cool describes Can Xuxu best. Fazenda Nova is a luxury boutique retreat, converted from an 1830s farmhouse, and surrounded by rolling hills and olive gardens, in the heart of Algarve, Portugal. Enjoy one of ten private rooms, whether it is the Garden Suites, the Garden Apartments or the Terrace Suite, featuring a charming outdoor space and designed in a chic Portuguese country house style. Relax under almond or olive trees that grow on the property. Dip in the pool and escape the summer heat. Get lost in a secret garden.